I begin this page with much trepidation and foot-dragging. That is because I have so much information about this family it is hard to know where to begin and I will have to take care on how it is all organized. 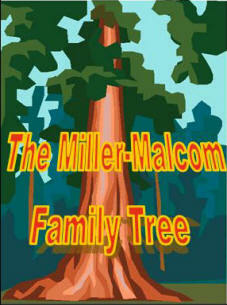 The most logical place to begin for me is with the Malcom Family history here in the United States. Compared to many families this is not much to brag about but it is all I can reasonably verify. I owe much of what we know to the persistent diligence of Donna Meszaros of Phoenix, Arizona, who has been researching the Malcoms since the late 1980s. Also, much information about the family was gleaned from George William Malcom's (my grandfather) brief autobiography, and the writings and memoirs of his children Fannie, Vincent, Maybelle and Don. Donna is the great granddaughter of my great grandfather's (Joseph Malcom) brother, Duncan Devalsin Malcom. I do want to briefly refer to the Malcolms in Scotland. 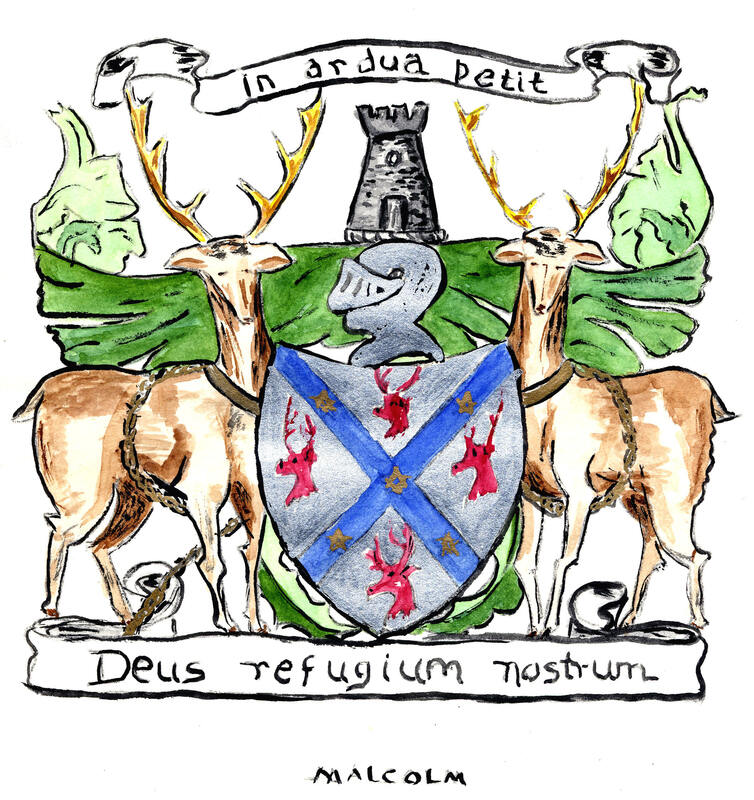 I always heard while growing up, that my family was distantly related to the first king of Scotland, Malcom I. Well, it turns out that Malcolm I was not the first king of Scotland but one of the several Scottish kings named Malcolm. Our Malcom is fictionalized in William Shakespeare's MacBeth. Also, that it is important to remember that the name Malcolm has many spelling forms and derivatives. Among them MaCallum, McCollum, Malcomb and ours, Malcom. 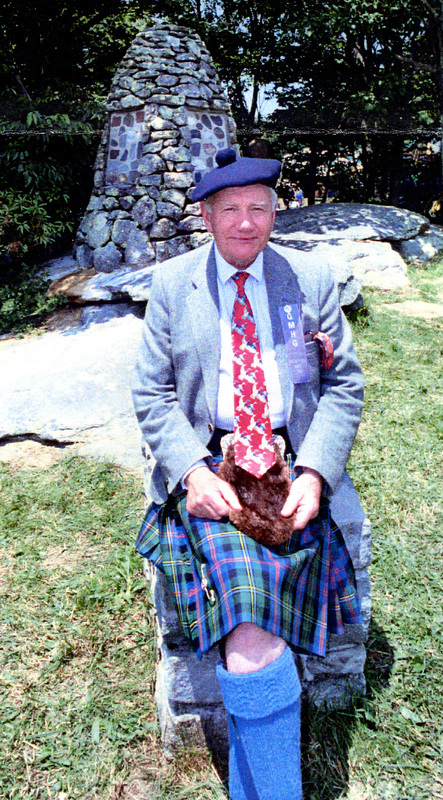 My Uncle Vincent wrote that the "Malcolms were highlanders who came from Pict or Celt ancestry. According to Julius Caesar they were "complete savages" but worthy warriors. In the old country it is difficult to trace ancestry because Scottish clans followed ancestral tribal customs which meant that if the clan encountered a man who was a stalwart warrior and was willing, they adopted him into the tribe. He then took the tribal name and was adopted as a "son" by the tribal chieftain. Under these conditions genealogy is "fantasy" until the Scots migrated to America in the 1700s." I included the web site below because I felt it was the best in giving a clear and learned history of the Scottish Kings including the Malcoms. Malcom I (reigned 943-954) is the anglicized name of Mael Coluim mac domnaill. The name Mael Coluim or MacColuimb means a "devotee of St. Columba" an Irish missionary who converted many Scots to Christianity. He became the King of Scots when his cousin, Constantine (Causantin mac Aeda) abdicated the "crown" to become a monk. House of Dunkeld When you click on this site, go to the home page to see the full succession of Scottish Kings. There is much information here and you will see that early Scottish kings were murdered or assassinated right and left. Malcom or Malcolm I was born abt. 900/901 AD, became King 942 AD and was slain in 954 AD. Malcom I must have been somewhat successful to have lasted for 12 years. At the right is a hand painted picture of the Malcolm Coat of Arms. ► I found this among my Uncle Vincent Malcom's papers and I have no Idea who drew and painted it. The latin words in ardua petit translate to "He aims at difficult things" and Deus refugium nostrom means "God is our refuge." Click on the picture and see an enlarged version and the official Malcom plaid. The Malcoms have a castle in Scotland called Duntrune or Duntroon Castle and the castle itself is occupied by the the current Laird (Lord) or Clan Chief Robin Neill Lochnell Malcolm who actually lives in the castle . The Malcolms have not always occupied this castle and it was purchased by Neill Malcolm, Robin's ancestor in 1792 from the Campbells, another famous Scottish clan who owned it for a long time. The castle is a still a tall, brooding structure perched on a point of land overlooking Loch (Lake) Crinan and was restored in 1957. 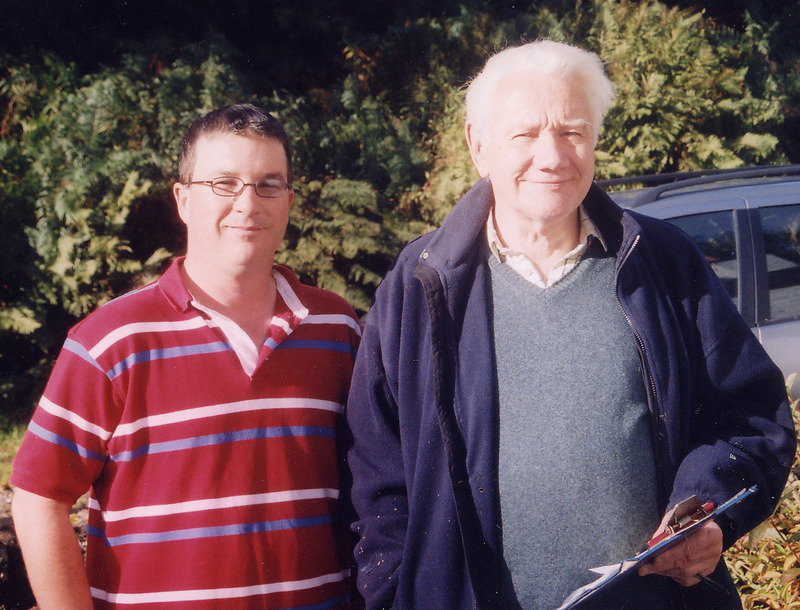 ◄This is a photo of my nephew, Sean Malcom Wheeler with the current Malcolm Clan Chief Robin Neill Lochnell Malcolm. 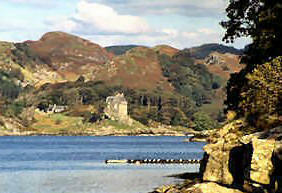 The photo was taken by my sister, Barb, in 2004 when she and Sean visited the castle and talked with the "Laird". We were all struck by the remarkable resemblance of the two. Maybe "blood does tell". So much for the ancient and unverified Malcom History in Scotland. Start with the Malcoms in America here. Go Directly to Horatio Malcom, Samuel Malcom and their families.